If you are a first time home-buyer in the market and searching for that perfect house that you want to buy, it may come as a surprise to you that there are costs associated with the purchase beyond the down payment. We know that your home will probably be the largest purchase in your lifetime, so we want to best prepare our readers and their bank accounts. We’ve come up with a list of the top five often over-looked costs when buying a home. Home inspection: This is often the first cost after earnest money, that buyers need to pay. Banks typically require home inspections, but if not required – the home inspection is still imperative. The inspector will take time to evaluate all of the more hidden features of the home from the ground up, including heating and cooling, plumbing, electrical, appliance, etc. The inspector provides a detailed report to the buyer and buyer agent which will be used to negotiate repairs for the house. It is important to note that this is a non-refundable cost and it is paid upfront; it is NOT a closing cost. Other Inspection fees: Many lenders require other inspections such as termite (typically done within 30 days of closing), radon (an odorless, colorless gas that can cause cancer), well and/or septic for homes that heave these features. While some banks don’t require these inspections, it is in your best interest as a buyer to complete them. Termites mitigation could end up costing hundreds of thousands of dollars and more if you don’t know your future home has a termite problem. Radon mitigation could also cost thousands to mitigate, in addition to harming your health if you are not aware of an issue. Appraisal fee: This fee is another one that many lenders require. They don’t want to be funding the purchase for more than the home is actually worth. The lender hires a 3rd party to conduct the appraisal, but is often rolled into the closing costs. This cost is passed from the lender to the buyer. Escrow account: It is becoming more and more common for lenders to require an escrow account with their mortgage agreement. Money goes into this account to pay ongoing expenses like taxes and insurance premiums. This is in addition to the monthly mortgage principal and interest. Some buyers may need to make an initial deposit into this account at closing. Sometimes, this initial amount comes from the seller and the taxes paid in arrears. Closing costs: In addition to the down payment that a buyer brings to closing, there are other fees to be paid. These fees cover HOA fees, taxes, attorney fees, origination fees for the loans, etc. Typically, you can expect this amount to be about 2%-5% of the purchase price of the home. 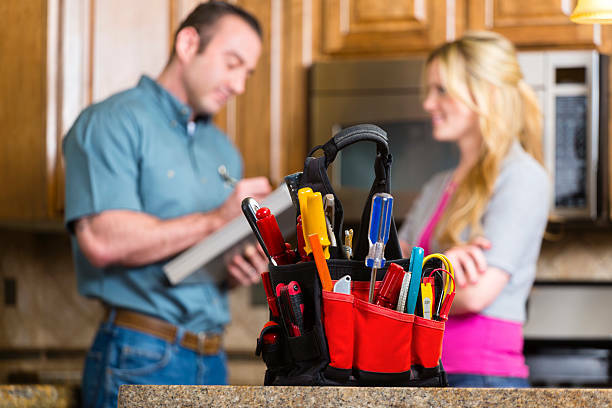 Home repairs & maintenance: There are some common projects that buyers tend to do immediately after purchasing their new home. The cost of these small projects can add up! These may include the buyer purchasing new locks, paint, install a fence, buy kitchen appliances, etc. Hopefully this list helps our first time home buyers, and veteran buyers, know what to expect when purchasing a new home. The staff and agents at BN Realty are always here to talk about anything related to the buying and selling of houses, including the financial part of it! Please feel free to call us at any time with questions or to set up a meeting at 309-319-6030!